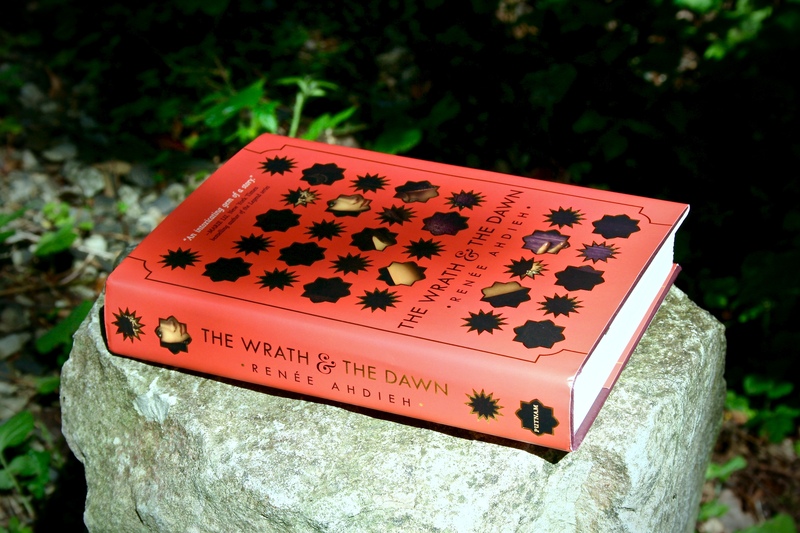 In a land ruled by a murderous boy-king, each dawn brings heartache to a new family. Khalid, the eighteen-year-old Caliph of Khorasan, is a monster. Each night he takes a new bride only to have a silk cord wrapped around her throat come morning. When sixteen-year-old Shahrzad’s dearest friend falls victim to Khalid, Shahrzad vow vengeance and volunteers to be his next bride. Shahrzad is determined not only to stay alive, but to end the caliph’s reign of terror once and for all. Night after night, Shahrzad beguiles Khalid, weaving stories that enchant, ensuring her survival, though she knows each dawn could be her last. But something she never expected begins to happen: Khalid is nothing like what she’d imagined him to be. This monster is a boy with a tormented heart. Incredibly, Shahrzad finds herself falling in love. How is this possible? It’s an unforgivable betrayal. Still, Shahrzad has come to understand all is not as it seems in this place of marble and stone. She resolves to uncover whatever secrets lurk and, despite her love, be ready to take Khalid’s life as retribution for the many lives he’s stolen. Can their love survive this world of stories and secrets? Renée Ahdieh is some sort of genius. The writing in this novel is perfect – her writing style is almost poetic, in a way – it’s beautiful. I was completely at ease reading this book, seeing as it’s set in a world / place so different from what I’m used to reading (being mainly a contemporary reader). I sometimes find it harder to connect with a character when the novel is written in third person, but not with this. It was like you could understand the reasons that each character had for his actions without needing them explained in detail. Having never read and not even knowing the basic premise of A Thousand and One Nights (something I now want to read) didn’t create an issue, which I was worried about. In fact, I had no idea whatsoever as to what to expect and so I went into this book with an open mind. I did find the world enthralling, the way the souk (outdoor market), the palace and all of the locations were described created vivid images in my mind’s eye. Colour features a lot in this novel, and I didn’t realise this until afterwards. Shahrzad’s outfits are always vibrant and I could picture them clearly and I want them – they sound so beautiful! The characters throughout this novel were likeable too, which was a good thing. Shahrzad I could imagine getting on some people’s nerves, but I really liked her and her feisty attitude. Also Khalid, although depicted as a monster, I liked him; there was something about his character that I couldn’t quite place, but I felt that there was a sort of underlying softness about him. I don’t know – I can’t really explain it! There is something about this book that I want to talk about, something that probably shouldn’t be mentioned because this is a review of the book and writing, not the aesthetic. But this book is gorgeous. Sorry, but the cover is absolutely beautiful and at the beginning of each new chapter the first page has a border and it is just so elegant this book! The cover design (and the chapters) completely fit the location and the theme of the book and as books go – this is one of the most beautiful I own. I know, I know, but it is stunning. If you’re still questioning whether I’d recommend this (I’d go back and read the review – the answer is in the first paragraph)… YES. Oh my days this book was amazing and it exceeded my expectations in so many ways. I can’t sing its praises enough (and not just because I can’t sing). It was captivating and magical (literally – it included magic) and just perfect. The ending was just- The only bad thing I can think about it is that the sequel is not out until 2016… A definite pre-order – I need it in my life as soon as possible. (Easily a) 5 / 5. Next > Book Buying Problem? !